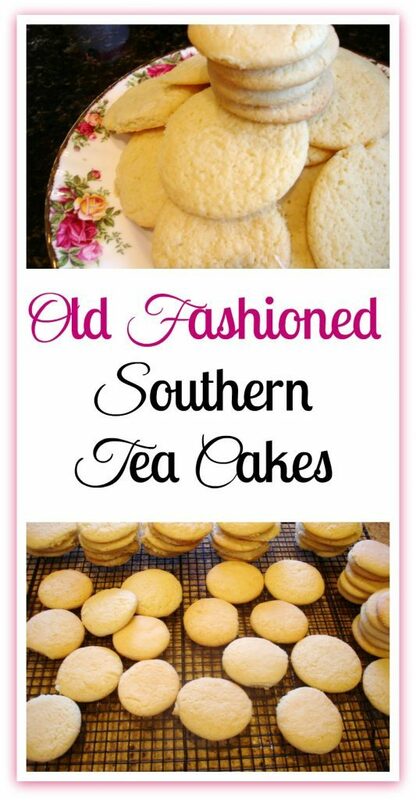 The old-fashioned Southern Tea Cakes served as a treat for generations of Southerners prior to commercialized bakeries. 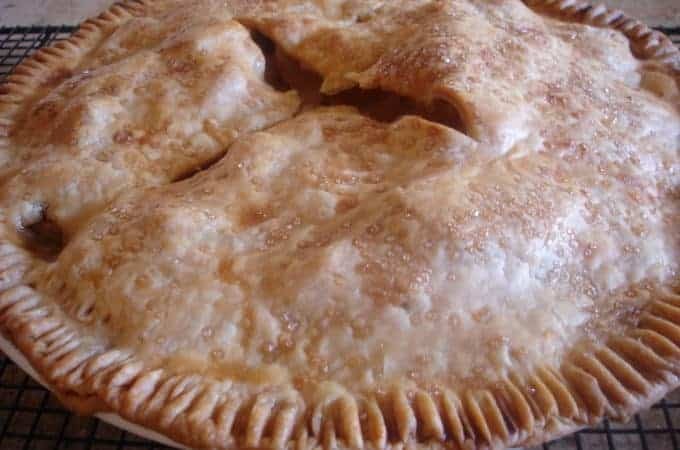 They could be baked up by the dozens with simple ingredients that were usually on hand: flour, sugar, eggs, butter, milk and, if you were really lucky, vanilla extract. This unpretentious treat was representative of the simple, hard luck times that befell so many residents of the rural south. It was easy and quick and that appealed to hard-working, poverty-stricken families who looked for every way they could to scratch out a living. Wealthy families did exist in the South but my ancestral line never bumped against any of them. Many generations of my ancestors lived in the poor house abject poverty without even knowing what poverty meant. They were poor people. In fact, poor would have been an upgrade. They were po’ people. Very, very po’ people. I’m only two generations removed from sharecroppers. My people were so po’, they couldn’t even afford their own farm land. They worked the land for the land owners. In return, they were rewarded pennies a day and substandard housing. My grandparents had stopped farming before I was born, and moved into town so Granddaddy could work in the textile mills. There he was rewarded with pennies a day and substandard housing. At least he was out of the weather. He worked indoors in a mill where the huge machines generated massive doses of heat in the oppressive climate of the Deep South. I don’t know that the mills were ever air-conditioned as long as he worked there. My people were po’ people. Hardworking, honest, patriotic, God-fearing po’ people. And I couldn’t be prouder. Southerners are well-known for our affinity for sugar. It’s part of our DNA. In other words, we just can’t seem to help ourselves. This sweet treat would satisfy that enormous sweet craving….or make you want more. In my case, the latter applies. The more sugar I eat , the more I want. 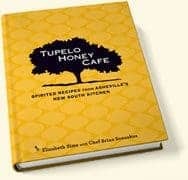 “I just want something sweet”, is oft’ heard throughout the South. Lord knows, those words have come across my lips plenty. Those sugar cravings have no economic boundaries. It was just a little harder for the po’ folks to satisfy their cravings. While sugar cane was an important Southern crop, the cane juice couldn’t be home processed into sugar. Therefore, after the sugar cane juice was sold, it became a pantry staple that required you to have either money or a barter to obtain it. Sometimes the po’ people had neither. It’s hard to imagine not being able to whip up a batch of simple baked goods whenever the notion hits you. I’m fortunate to have never experienced that. But living under those types of extreme conditions, certainly made folks appreciate this kind of treat when it was available. 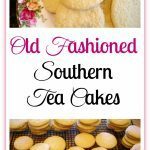 While researching the history of the Southern Tea Cake, I didn’t come across much history but I found several different recipes. There wasn’t a huge variation from recipe to recipe. What I did find interesting were some of the comments written by folks who had tested the recipe. Comments such as, “It was just too plain” or “I had to add nutmeg and cinnamon to spice it up” and “I was disappointed. This cookie lacks flavor”. These comments were made by people who just don’t understand this simple little baked good and it’s place in history. Our palates have become much more refined due to exposure of many different flavors in our global economy. Our ancestors lived in different times when everything was simpler and dishes were more local or regional. I don’t think my grandmother even knew anything about nutmeg. She certainly used cinnamon because we would have cinnamon toast. So while this simple honest baked good may not be pleasing to more sophisticated palates today, it is apropos for its time when life was simpler and baking ingredients were limited. Trying to explain the texture and taste of a proper Southern Tea Cake is challenging. It’s not a sugar cookie and it’s not a biscuit. 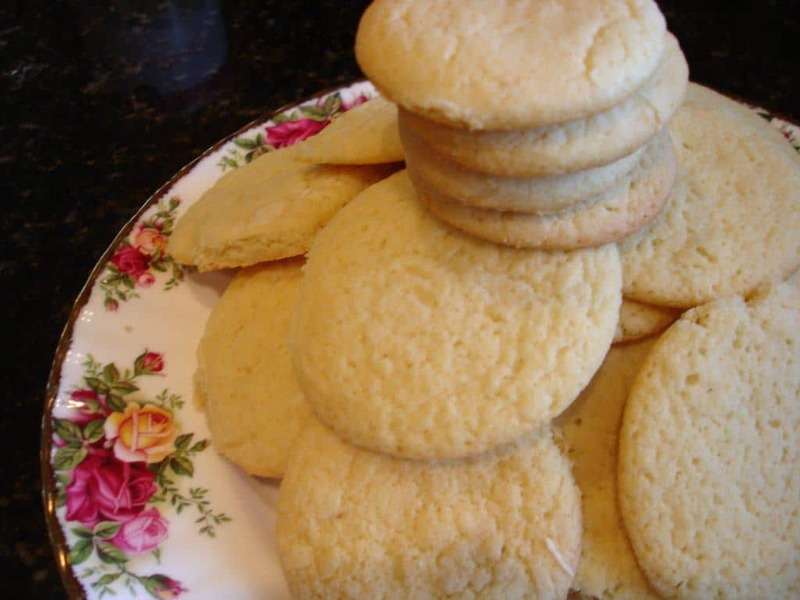 If a sugar cookie left Birmingham traveling at 60 miles an hour and a biscuit left Savannah traveling at 55 miles an hour, they would meet head on in Atlanta and you would have a few dozen Southern Tea Cakes. This little tea cake has special meaning to me. It’s the only thing that resembled a cookie that I ever knew my grandmother to bake. She wasn’t a big baker. She much preferred to cook. I follow right along in those footsteps, too. But I do remember her making these tea cakes. She would let me help her cut them out with a small glass. She never owned a cookie cutter. That was an unnecessary extravagance. If she didn’t use a glass for cutting tea cakes or biscuits, a soup can or Vienna sausage can worked just fine. We would cut the tea cakes out and bake them. They were stacked on a plain dish from the cupboard and set on the kitchen. Granny would sit at 45 degree angle and rest her left arm on the enamel kitchen table , wearing a cotton print housecoat, as she told me how her mother used to make these tea cakes for her and her siblings and they were “mighty proud” to get them. Despite my youth, I knew these tea cakes were special. It’s my job now to share the stories and meaning of these special teacakes with my heritage. These teacakes have something much more important than exotic spices and tons of flavor. They have something more important than a combination of ingredients that sends world-class chefs on pilgrimages to find the perfect ingredients. 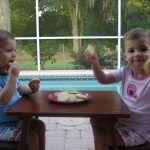 What could be more perfect than swimming at Nana and Papa’s, eating fresh tomatoes right off the vine and finishing up with Southern Tea Cakes? Maybe eating the tea cakes on the table that belonged to Papa when he was a little boy? And listening to the stories of Nana, her Grandmother and these special, special tea cakes. These tea cakes have a whole lot of life in them. An old fashioned recipe, handed down for generations, made with simple ingredients. 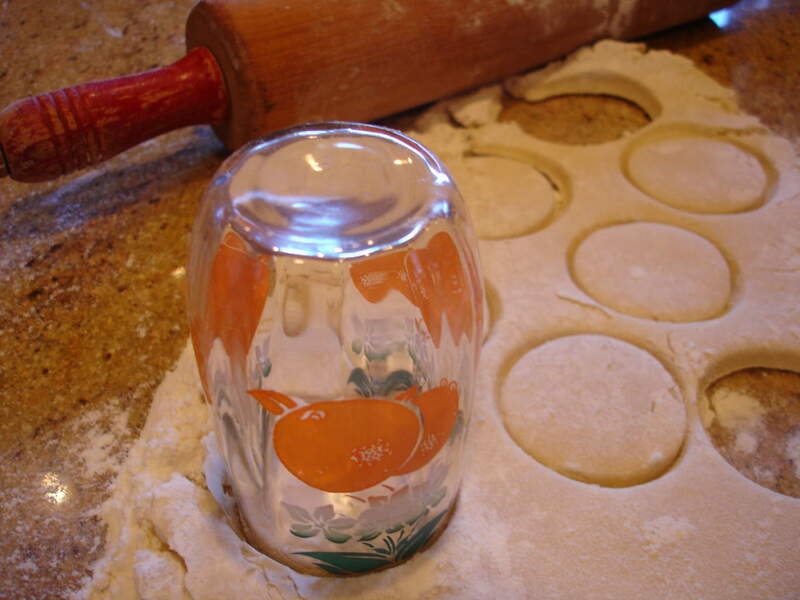 Sift flour, baking powder and soda with your grandmother’s sifter. Add the rest of the ingredients and mix well. This is certainly different from most cookie recipes. The butter and sugar aren’t creamed first. Everything goes into the mixing bowl together after the dry ingredients are sifted. The dough will be sticky so you will need to generously flour your surface before turning out the dough. 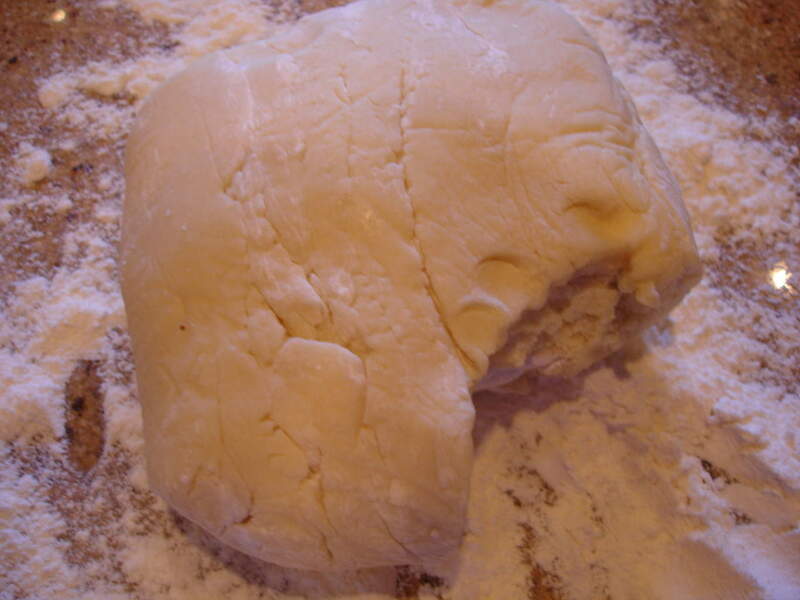 Place the dough on the floured surface and keep adding flour until the dough loses its stickiness. Divide, wrap in plastic wrap and chill for at least one hour in the refrigerator. I divided the dough in half, but the next time I will divide in fourths. The tea cakes turn out better and keep their shape if you don’t let the dough warm up prior to baking. Preheat the oven to 350 degrees and take out your dough but only the part that you are going to use. Let the rest stay in the refrigerator. See that huge chunk that’s missing? I can’t imagine what happened to it. Roll out the dough to about 1/4 inches thick. Cut with a small juice glass or a Vienna sausage can. I don’t think cookie cutters will work right. Bake at 350 degrees for 10 to 12 minutes. I baked for the full 12 minutes and they were perfect. 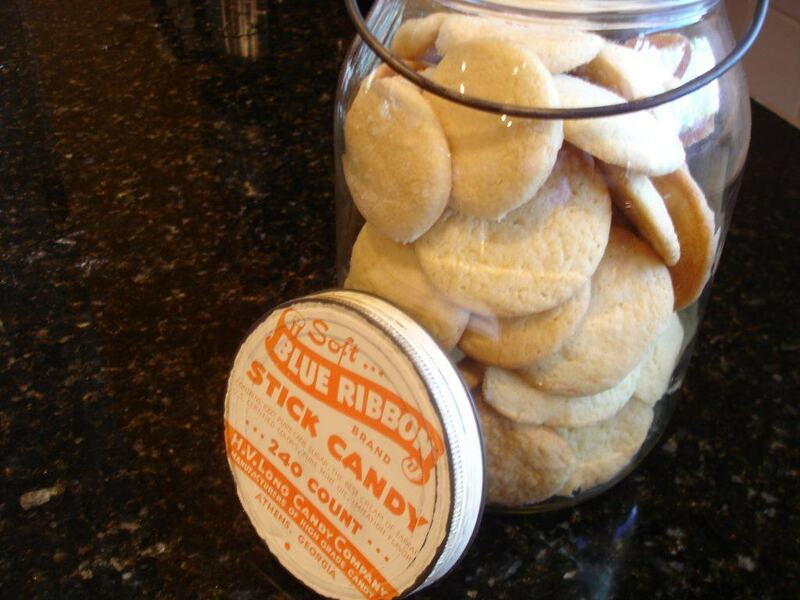 Cool on a rack and then store in a jar. This just looks right to me. This is a candy jar that my grandparents got me from Mr. Lovell Brook’s store. Sift flour, baking powder and soda with your grandmother's sifter. Add the rest of the ingredients and mix well. This is certainly different from most cookie recipes. The butter and sugar aren't creamed first. Everything goes into the mixing bowl together after the dry ingredients are sifted. The dough will be sticky so you will need to generously flour your surface before turning out the dough. 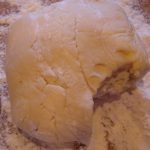 Place the dough on the floured surface and keep adding flour until the dough loses its stickiness. Divide, wrap in plastic wrap and chill for at least one hour in the refrigerator. I divided the dough in half, but the next time I will divide in fourths. The tea cakes turn out better and keep their shape if you don't let the dough warm up prior to baking. Preheat the oven to 350 degrees and take out your dough but only the part that you are going to use. Let the rest stay in the refrigerator. See that huge chunk that's missing? I can't imagine what happened to it. Roll out the dough to about 1/4 inches thick. Cut with a small juice glass or a Vienna sausage can. I don't think cookie cutters will work right. I’m coming over to eat as soon as I “give some sugar” to those adorable grandbabies! I came here to compare recipes. I have my mom’s, an Alabama native. It’s identical, so I know I wrote it down properly. Mom made these at Christmas every year when I was little. She would cut them out in Christmas shapes and finish them with chocolate frosting and sprinkles. Is that heresy? Maybe, but that’s how I remember them. My grandmother’s were simple and unadorned because she didn’t have the means to do anything otherwise. I’m delighted you have fond memories of teacakes. My mama would put homage syrup in hers sometimes so so good. I’m not familiar with homage syrup. What’s it like? My big mamma used to make the best tea cakes; and one of the expressions she used often used was “come here and let me hug your neck.” I’m in tears as I reminisce on those wonderful and sweet memories. I remember standing on a chair in my grandma’s kitchen making tea cakes. I thought they were the best thing I had ever tasted! My grandma loved to cook and bake, so there was always something under the cake cover in her kitchen. It was usually the first place the grandkids went. She would always say, get a little piece if you want, and there is cold water in the refrigerator. 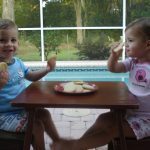 We always just drank cold water – there was sweet tea at meal times only! You really know how to take me back down memory lane!! thanks so much!! I love reading your comments to my posts. You and I have shared so many memories. I know you so well and we’ve never met! 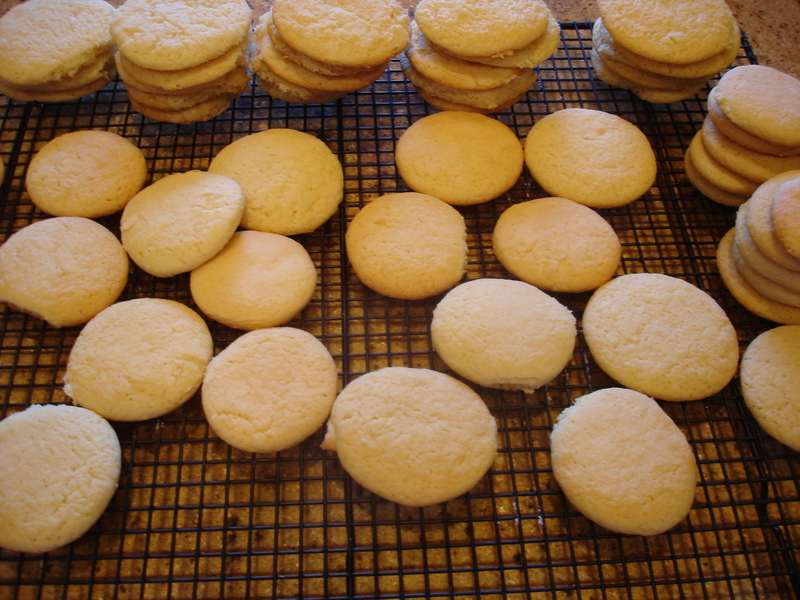 a thin, round shape, laid it on a very lightly greased cookie sheet or biscuit pan, and baked it. cold buttermilk or a cup of hot tea or coffee. kept on eating until the last one was gone. Mother’s Sour Cream Pound Cake. me more sweet memories than your posting of this recipe along with your wonderful story to go with it. Momma used to tell stories about the tea cakes my grandmother would bake. On rainy days when she couldn’t send the kids outside (she had 10) she would send them to the barn to crack and pick out “hicker nuts”. That kept them out of her way for a good long time. Then she would add the nuts to the tea cakes. I’ve never tasted hicker nut tea cakes, but I do love a good tea cake and a strong sweet cup of coffee. What a great story! Thank you for sharing that with us. Were hicker nuts the same as hickory nuts? I’m sure they must have been hickory nuts—but I’ve not been able to find any trees at the old home place. Probably because it was sold to a lumber company! Oh, I remember what a treat it was to come home from school and smell tea cakes as soon as we walked in the door. It was straight to the kitchen for a hand full of them and a glass of milk. And I can’t make the things worth a toot!!!!!! I hope you try my recipe. The teacakes do not come out hard if you follow my instructions. 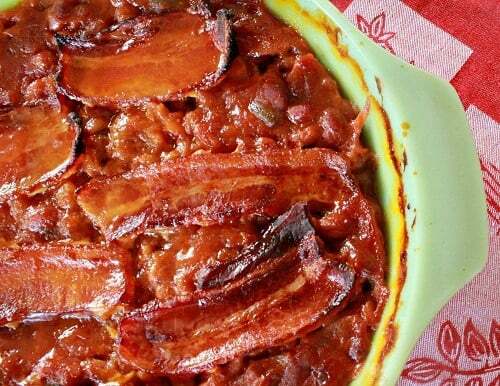 Childhood memories of comfort food….the best!! Tea cakes. My Grandmother Evans never made but 2 types of deserts. One was biscuit pudding(I have her bowl) and the other was tea cakes. She kept them in a drawer where the biscuit bowl and things like that were stored. My other Grandmother Radford kept sweets of all kinds. Do you remember ever eating the icing made with beaten egg whites and sugar? It has a grainy gritty taste…and I still love it! The icing that you described is meringue. I have eaten plenty of meringue but not any that hasn’t been browned. Do you put vanilla extract in it, too? I love meringue! We call that 7 minute icing and it is a little different than meringue. It is so named because ut is cooked for 7minutes before icing the cake! Yes I suppose it is meringue….but thats all my Grandmother used on her cakes. No…she didnt brown it and it almost disappeared off the cake…all you had was the sticky sweetness and the grit. My grandfather was a sweet eater and she kept something sweet cooked all the time. I must get that from them…I love sweets. Jackie, I’m with Julia! 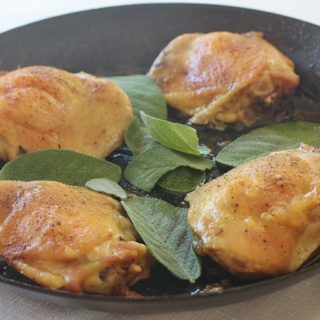 “I can’t say when I’ve read anything which has given me more sweet memories than your posting of this recipe along with your wonderful story to go with it.” Once again, you’ve brought me to tears. Somehow I missed this one the first time around, so I’m very glad indeed that you included the link in your wine and cheese Christmas post. Thank you! And Merry Christmas! P.S. I do believe I need to dump all my recipes for tea cakes. (I don’t have my grandmother’s.) Before I even try it I’m quite sure this is THE recipe! My Alabama mom made these too. Once she put icing on them , all colors in the box of Sauer’s food coloring and brought them for my Brownies meeting. I was so proud of those cookies and my mom that day. I think she made the icing out of water, powdered sugar and the food coloring, it was not soft like cake icing, but hardened like a candy coating, kind of. They were beautiful. I had never seen them iced before. She could make magic and love from a little flour and some milk. Thanks for the wonderful memories . I can just imagine how beautiful those colored, iced cookies must have been. I can see your sweet face light up, too. What a beautiful memory. Thank you for sharing it with us. Thank you so much for this recipe. I’m sitting here wiping tears away as I read the comments. 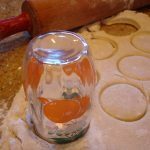 This recipe brings back so many memories of my childhood and standing in the kitchen with my grandmother as she made these tea cakes. She never used a recipe so I have searched for years looking for a tea cake like my granny made. I can’t wait to make these. I hope these turn out just as you remembered them. 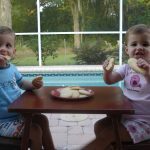 They are still one of my favorite cookies and one of my favorite stories. 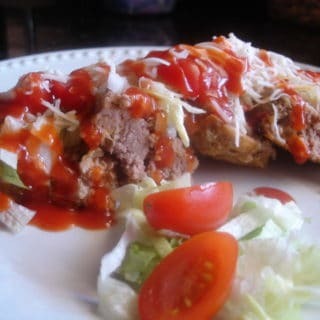 I am going to make them tomorrow. I can’t wait to take some to my dad. He is 85 and his mom is the one that made them for us. It will be a treat for both of us. I mentioned in the post that some people are intent on adding spices to tea cakes. 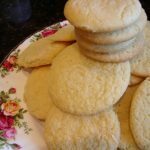 My grandmother’s tea cakes didn’t have spices because her mother couldn’t afford to buy them and she learned to make them from her mother. I’m wondering if the tea cakes you’ve bought had added spies and your dad was used to plain. Your theory is sound regarding the flavor of ingredients that are different today, especially if someone was accustomed to farm fresh ingredients. The buttermilk my grandparents purchased from farmers contained flecks of butter. That’s not the case with modern commercially prepared buttermilk. Of course, the flavor of milk,and milk products, is dependent on the diet of the cows which were grass-fed on the farms. You’d be hard pressed to find a commercial dairy operation that grass feeds cows. I have found the buttermilk with flecks in some Amish markets. 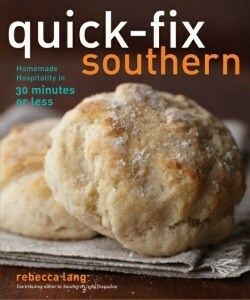 Makes the best biscuits. I wish I could get my hands on some. 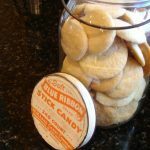 May try making them with Steen’s syrup, cut back or eliminate the buttermilk and use no sugar or ANY spices such as nutmeg. Your daddy was growing into his taste buds during WW2. There wouldn’t have been anything extra around and it’s likely even if it was available the women folk would have been using the same recipe their granny’s had. White sugar was not available for those older recipes and it absolutely changes the flavor. My great granny still used open vat cooked “and put up” cane syrup up into the 70’s. Made hers like many of you but once it was rolled out she didn’t cut them, whole pan went into the oven at a lower temp. Once cooked cut them like brownies. They, as the author mentioned above, are plain, mildly sweet, lacking of all the bells and whistles folk expect these days. To me they are perfect like an occasional chew of unsweetened mammoth cave tobacco or cup of black coffee. 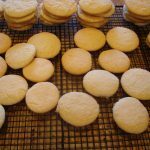 I have finally found a recipe for tea cakes that resembles the ones I remember. I only had to tweak the flavors to get the exact taste that I associate with them. I added some nutmeg and just a little bit of almond extract and they were perfect. Both my Aunt and Grandmother made these but I’m the youngest of all of the grandchildren (1988) so I would usually only get them around family reunion time and holidays since my Mom doesn’t bake and we all lived a few hours apart. My Mom and my Aunt were born and raised in Crockett Texas so maybe the nutmeg and almond in mine were just a family thing? 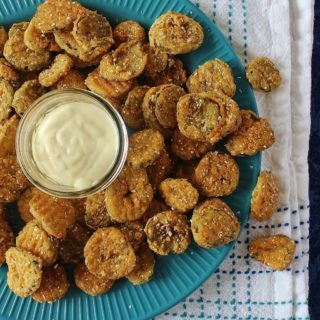 These brought back a lot of memories so thank you so much for posting this recipe! Can anyone tell me if these are soft like “cake”or crunchy like “cookies’? My family made sof ones but alas no one has the recipe! There more soft than crunchy. This is beautiful. Thank you for the awesome social history of a food with a surprisingly deep history. Best recipe ever. Jackie, you just about told the story of my younger life. Except about the cotton pickin’ time. I’m older now than my grand ma was then but her tea cakes will live in jnfamy in my mind. My mother learned to make them too. After a good day of cotton picking and after the “weigh-in” we headed for Black Creek to wash up. Black Creek was a spring fed stream with water temperature I’m positive that was below zero. There we’d wash up and head for the house and grandma’s cooking. For desert there was tea cakes. That memory alone makes tea cakes a national treasury. Thanks for the memories. So many good memories. I laughed out loud about your description of Black Creek. I’ve been in creeks like that. They literally made me hurt. I can’t take too much of that cold, cold water. I want to make tea cakes for my 88 year old father; he speaks fondly of tea cakes made by his grandmother when he was a little boy. Dad said they didn’t have sugar because of the war, (WW2) therefore they used cane syrup. I was wondering how to convert the sugar to cane syrup?? any suggestions ? I found a resource that says to substitute 1/4 cup liquid for 1 cup granulated sugar. You might try that. Love your story! My grandma made teacakes when my mother was a little girl, but I don’t remember her ever making them when I knew her. Awww! Lots of folks have a wonderful connection to the past through teacakes. I can remember being 14-15y.o. and going with the boy who later became the Father of my two oldest children to his God-Mother’s house who was clearly a senior citizen, so he could get his Tea Cakes. He loved them and he had siblings, but Miss Nick, as she was so lovingly referred to would only make these for Letroy . And he loved them. I remember her telling me Look lil”gal you better come in here and learn how to make these Tea Cakes so you can make ’em for Troy. Well I never did.Both Miss Nick and Letroy have long since passed away, and now I’m a senior citizen and have a male friend who loves Tea Cakes. I had a recipe sometime ago ,that seemed to satisfy him, but I lost it. Now I’m searching for a recipe so I can once again satisfy his taste buds.. So far I’ve made the dough and it’s in the fridge “chillin” I’ll let you know how they come out soon. Jackie, thank you for the recipe and the story. When I was growing up, my grandmother would make teacakes all the time. I’ve tried your recipe and the taste is the same as I remember. She did one thing that made them unique, at least for me, she cut them out with an old 4 inch biscuit cutter then placed them close together on the baking sheet. They would touch as they cooked, keeping them very soft. Like many others, I remember my Tennessee grandmother making these cookies for us when I was a child. Later, there was a woman at our little country church who would bring them in a big jar to “dinner on the grounds”. 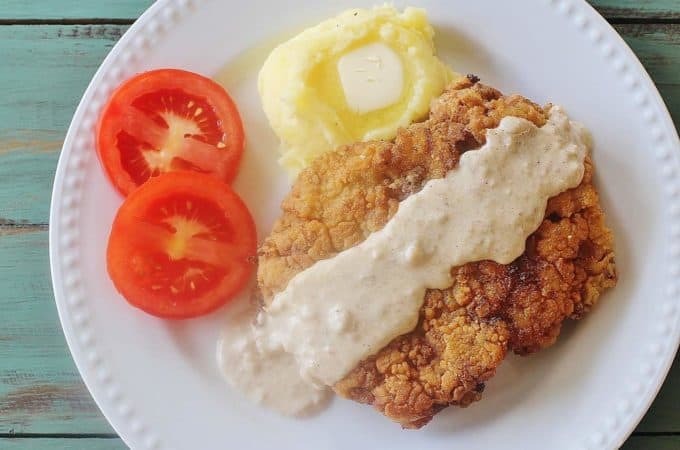 That’s a taste that still brings back fond memories of summer Sunday afternoons gathered around long tables laden with fresh country cooking and set up on saw horses outside under the trees with the wind as the only relief from the sticky heat. Mrs. Millie gave me her recipe neatly typed out with clear direction. She has long since passed on, but her recipe is one of my most treasured possessions. And by the way, her recipe is called “Mille’s Dunkin’ Cookies.” Don’t you just love that? What a treasured memory and keepsake. Thank you so much for sharing your story with us.